This artwork is no longer on display. Ren Jun made his North American debut with this elegant, amorphic stainless steel sculpture Freezing Water #7 at the Vancouver Biennale 2009-2011. 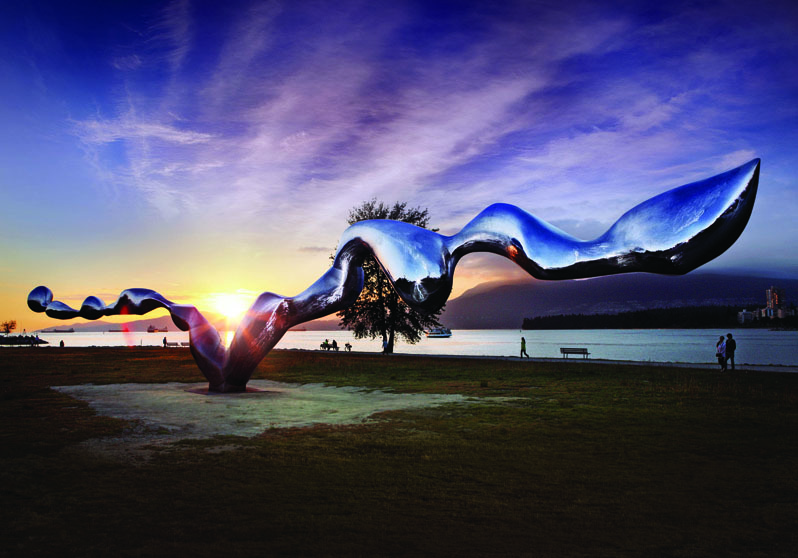 The sculpture is located in Vancouver’s waterfront Vanier Park. Working with stainless steel, the artist reveals his mastery of material, volume and engineering to create a monumental public installation as fluid as a bird in flight. This sculpture captures the artist’s inspiration of spilt water as it puddles and morphs into mercury-like shapes.